We keep our costs low as we work directly with you, we do not outsource to others; we do not act as an agent, this keeps costs low. Any services provided by 3rd party companies are for hardware only. The Site 4 u will try our best to suit all your needs. In certain circumstances due to factors beyond our control, The Site 4 u cannot be held responsible for any loss to service or services especially via services provided by 3rd party companies, in such cases we will still try helping where we can. A project proposal shall be created from the information that we receive from you in regards to what you require, and what you would like to achieve in regards to the proposed project. Once the project proposal has been finalised and accepted by you, we shall provide you with a quote either verbally or in writing of how much it shall cost for the project. 50% of the payment total will be required at the start of the project; this shall act as a non-refundable deposit. In the event you would like anything altered on the project proposal after the work has commenced, we will under our own discretion review what the proposed changes are, and will try to incorporate them in to the original quote, if this is not possible a sub project proposal of the changes and costing shall be presented to you. Once the sub project has been finalised and accepted by you, we will required 50% of the payment total for the sub project work; this shall act as a non-refundable deposit. Complete transparency shall be presented to you in regards to what has been proposed, payment requested, and payment collected. You will have 24/7 access to your complete accounts via the online dashboard system. 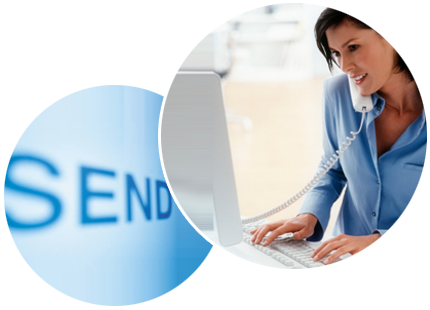 Web hosting, Domain names, Email mailboxes, are services that require renewal on an annual basis. Renewals not made on time will result in a service being deleted including all content (emails and website), by not renewing when requested you are providing TheSite4u with permission to end the service / services for that particular item, items, or product. The Site 4 u cannot be held responsible for any loss of service in a result of lapse in renewals. Web hosting is space on a server that is connected to the internet. This server is connected 24 hours a day 7 days a week, 365 days a year. This service is acquired via 3rd party companies, your website is hosted on their servers, any loss of service technical or admin cannot be blamed on The Site 4 u as we do not have direct control of the hosting server. In any case we will help get the client back up and running asap. Mailboxes require space on a mail server that is connected to the internet. This server is connected 24 hours a day 7 days a week, 365 days a year. This service is acquired via 3rd party companies, your emails are hosted on their servers, any loss of service technical or admin cannot be blamed on The Site 4 u as we do not have direct control of the mail server. In any case we will help get the client back up and running asap.